If you have trouble reaching the main keypad this Service Station provides Alternate Handicapped Gas Pump Controls. I noticed too late to actually try, but I would like to. It appears that the user still needs to read the prompts on the main display above, but use this alternate keypad below. An enabling feature for the disabled. 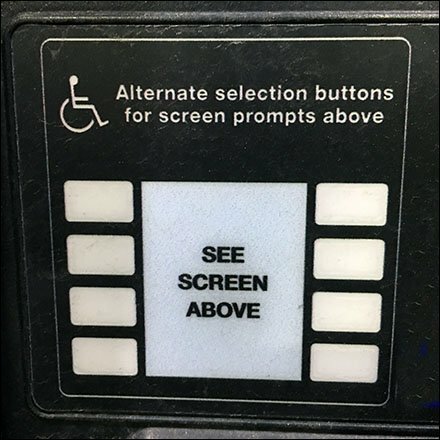 These Alternate Handicapped Controls seen at Sheetz.